Abdominoplasty is one of the most popular plastic surgeries in the world. Are you a happy mother of two children, who finally returned to her normal weight? And the only problem is sagging skin in abdominal area and flaccid abdominal wall? You want to have a flat tummy and to get rid of the “apron” hanging down there? Yet, neither diets not exercises with expensive fitness equipment help you to achieve desired result, or you have absolutely time for that? Then, Abdominoplasty is the right choice for you. Abdominoplasty is a surgery, which is directed at recovery of abdominal wall tonus, removal of excess sagging skin and fat tissue. It allows getting tight and flat tummy, which underlines your sexuality. In 2007 in the USA 148000 abdominoplasty surgeries were carried out, being one of the five most popular surgeries. 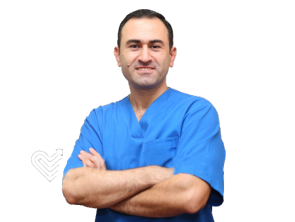 Abdominoplasty usually is carried out under general anesthesia e.g. narcosis. Apart from that, in some cases it may be carried out under local anesthesia, combined with sedation. In such case you remain conscious and may experience certain discomfort. Abdominoplasty at the average lasts from 2 to 5 hours. Usually abdominoplasty commences with a long transverse incision from hip to hip. Generally the incision goes over the bikini line and reminds a wide smile. This incision goes just above the pubic area and its ends reach upper parts of hips. Another incision is made around the belly button in order to free it from the abdominal tissue. Skin is detached from the abdominal wall, up to the level of hips, revealing the abdominal rectus muscle. As a rule, this muscle is stretched and flaccid after pregnancy and labor. That is the reason, why abdominal wall is sagging. These muscles are then tightened, the abdominal wall becomes firmer and the waistline narrower. After the muscle uplift the excess skin is stretched and cut. Finally, the incision is sewn back together. The surgeon then cuts a new place for a navel and stitches it in place. The first step towards your flat tummy is to consult with your plastic surgeon. The doctor must evaluate your condition and decide, whether abdominoplasty suits you or not. Firstly, the doctor shall interviews the patient to collect a detailed anamnesis. He will ask about diseases, the patient had in the past, surgeries undergone, allergies to medication, as well as about chronic conditions and medication being taken at the moment. Further, a so called physical examination is carried out and the doctor estimates amount of excess skin and fat tissue in the abdominal wall. The doctor shall observe your tummy in standing and lying position, and shall estimate the level of its sagging. Apart from that, prior to the surgery pictures of the tummy are taken, so, that you can assess the result afterwards and compare it with what it looked like before. Besides, during consultations with your surgeon you must discuss with your surgeon your expectations from the surgery and what you can actually expect. ПSeveral examinations are carried out prior to the surgery, such as general blood analysis, common urine analysis, biochemical blood assay, ECG. Two weeks before the abdominoplasty you will have to stop taking certain medication – nonsteroidal anti-inflammatory drug and anticoagulating agents (blood thinners), as they can cause excess bleeding both during the surgery and after it. Make sure to inform your doctor about all medications you are taking. However, you must not stop taking those without telling your doctor first! It is also vitally important to quit smoking a month prior to the surgery (the earlier, the better, in fact!) and to abstain from it for the entire period of healing. The thing is, that smoking deteriorates healing process by damaging blood microcirculation. If you cannot do without smoking, you’ll have to shift to other means of nicotine consumption for some time (nicotine patches, chewing gums, etc.). The ideal candidate for abdominoplasty must be in satisfactory state. It is indicated for patients with sagging skin on the on the abdominal wall due to pregnancies and labors after liposuction and abrupt loss of weight. Usually patients, who go for liposuction in the abdominal area, undergo abdominoplasty simultaneously, as without it there will be the result of natural aging process, when muscles and skin loose elasticity and tonus. Apart from that, it is important that you expect realistic results from abdominoplasty as opposite to fantastic changes. Indeed, the surgery can return your good-looking flat tummy and thin, graceful waistline but you will still be you! You won’t become younger, you shall simply look much better. Furthermore, no plastic surgeon can guarantee you to have an ideal body. After abdominoplasty a long scar remains in the lower part of the abdomen, immediately above the pubic area. But there is no need to worry. Usually the surgeon makes it fall into the natural fold and where it is usually covered by clothes. Usually plastic surgeons have pictures of previous patients before and after the surgery, so you can take a look and understand what can be expected of abdominoplasty. First of all, it is not recommended to undergo abdominoplasty for women, who plan to have one or more babies in the future. Why? Because in that case the entire effect of the surgery will be lost ad you shall have a stretched abdomen again. As a result, you will have wasted the money and recurrent surgery may not be as efficient as the initial one. Besides that, abdominoplasty is not carried out for women, who have certain chronic diseases, which may cause complications. Abdominoplasty is a rather large surgery, which requires more time for rehabilitation compared to other surgical interventions in plastic surgery. In majority of cases it takes from one to three weeks for patient to return to usual lifestyle and work. In other cases the patient may go home practically on the next day after the surgery. Everything depends on the volume of undergone surgery and condition of the patient. During the first days after the surgery edema of soft tissues of the abdomen and painfulness along the post-surgical wound are observed. Usually after abdominoplasty the doctor prescribes pain-killers: opioid analeptics for the first two days, and then – regular painkillers, as well as antibiotics to prevent infectious complications. After sufficient time has passed from the wound healing it is recommended to have some not intense physical activity. It helps to avoid certain complications, boosts spirits, speeds up the recovery process after the surgery. Usually you can start doing such exercises 4-5 days after the surgery and within 1,5-2 months, in majority of cases, the patient can return to his work. During first months after the surgery the scar in the lower part of your abdomen may be protruding. But with time it shall become less noticeable, smooth and flat. Nevertheless, the scar shall not disappear completely, but it becomes unnoticeable and is usually covered by cloths. You may also consult with your surgeon in regard to method which help to make the scar less visible. Undoubtedly, you must not think, that one abdominoplasty will ensure you an ideal and flat tummy forever. You need to take care of your tummy! First of all it is about doing exercises, which shall strengthen your belly muscles ( (abdominal exercises, etc. ), following diet to avoid corpulence. Unfortunately if after the surgery you got pregnant and gave birth to a baby, results of the abdominoplasty shall deteriorate significantly. That is why this surgery is to be undergone only if you have no intention to have any more babies. However, in any case, no one can forbid you to undergo recurrent surgery. The choice is always yours.